The said building will be utilized during class sessions of the beneficiaries mostly out of school youth (OSY) ages 12-29 and out of school audlt (OSA) ages 29 and up. 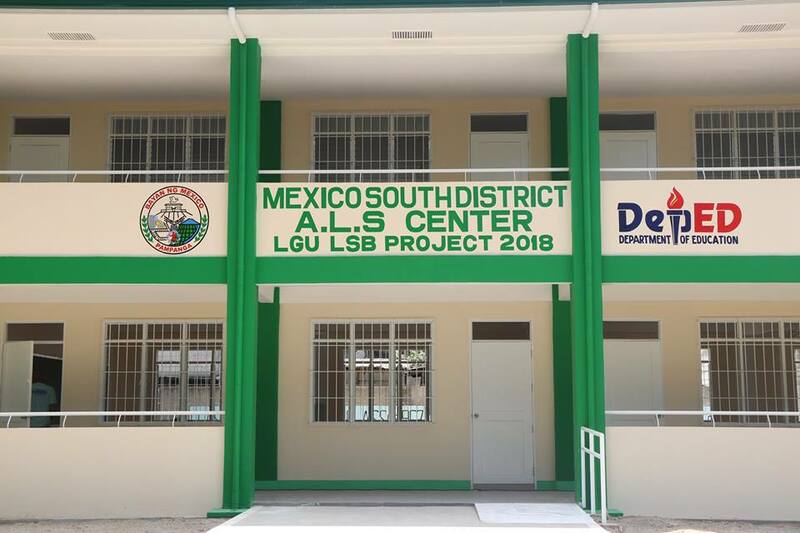 Mexico South District ALS Center is located at Mexico Elementary School, Barangay Sto. Cristo, this Municipality and can accommodate up to 150 students. The local government and the local school board of Mexico encourages all out of school youth and out of school adult to enroll for the coming academic year’s alternative learning system.